Give more than you take. Get plenty of sleep. Exercise and eat healthy. Wear sunblock. These are a few of the most valuable, often-repeated pieces of life advice. And I do my best to follow each one. Unfortunately, sunblock didn’t play a large part in my childhood since it wasn’t the word of the day back then. So now I’m doing the best I can to make a fair fight against sun damage, since I can’t make up for lost time. My two biggest facial concerns are sun protection and moisturizing. When I’m in direct sun for an extended time, up pops a scattering of facial spots that I then fight to suppress with serums and exfoliators. And as my skin matures, it demands more and more moisturizer to stay refreshed-looking. 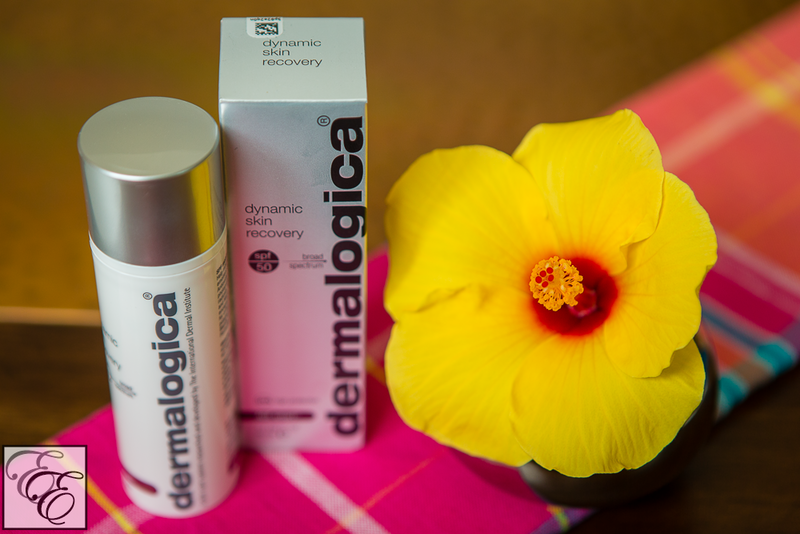 Much to my delight, Dermalogica’s Dynamic Skin Recovery, a highly-effective SPF moisturizer, answers both of my top concerns. As such, it has become a staple in my daily regime. It is a SPF50 sun protector with emollient moisturizing capabilities and anti-aging benefits. The formulation is enriched with white tea antioxidant (which inhibits cell damage done by lipid peroxide and helps neutralize free radicals). Besides superior sunscreen functionality, it also contains a polypeptide that helps encourage collagen production. The added bonus of this product and all Dermalogica products is that it has no artificial fragrances or ingredients (in other skincare lines, these can commonly cause irritation). 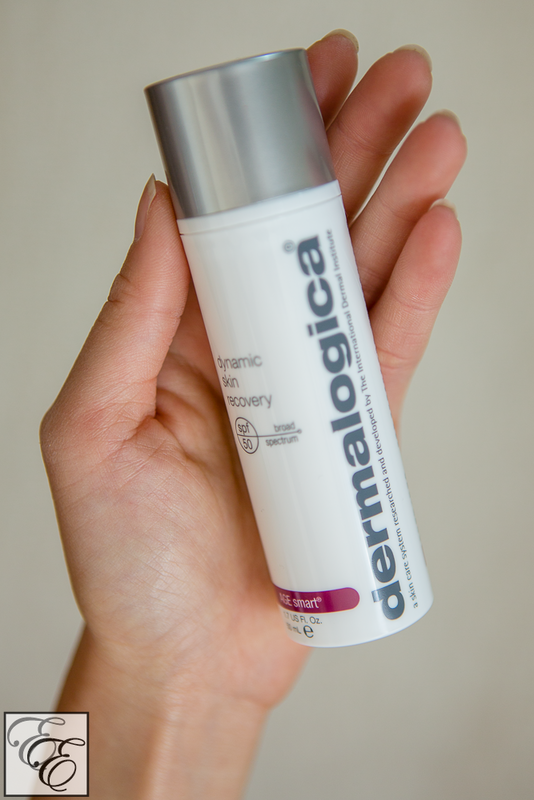 Dynamic Skin Recovery feels creamy, with a thick, medium-weight consistency not unlike a European-style or waterproof sunscreen. It feels comfortable but protective, like I’m putting up an effective barrier to the elements. It absorbs well into the skin, leaving a natural, well-moisturized feel. The formulation has a lovely, lightly woodsy and spiced herbal scent that is evocative of spa essential oils, which makes for a bit of calming aromatherapy in the morning. Mmmm… 🙂 This comes from a plethora of natural oils, including rosewood, rose flower, sunflower, clove, and lemon. In the morning, I cleanse, dry, and tone my face (I skip toning when I’m in a rush). Then, I dispense two full pumps of the SPF moisturizer, warm it up a bit between my fingertips, and apply over my entire face and neck. I put dab about half of the Dynamic Skin Recovery cream on my nose, forehead, and neck, and then apply the other half to my cheeks in upward and outward motions. 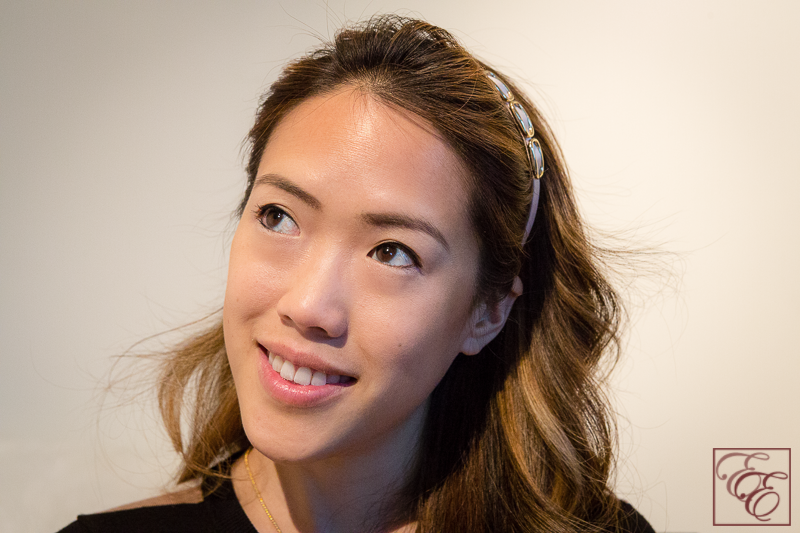 I love that it makes my skin feel immediately nourished – velvety soft and moisturized, but looking fresh and matte (no greasy shininess). I like to pay special attention to my nose and the upper cheekbone area under my eye, as those are the areas that seems to get the most sun, and are where spots frequently appear. 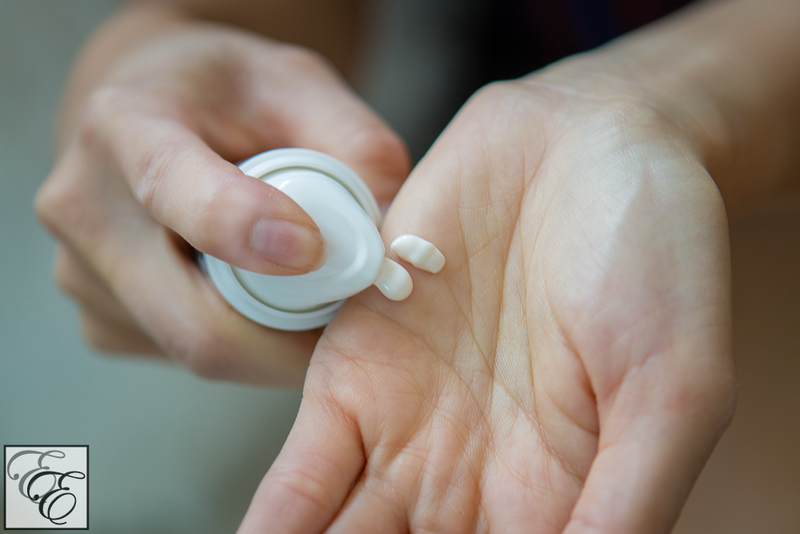 After applying, I let the lotion soak into my skin for a few minutes before applying cosmetics. For daily wear, I use a light tinted moisturizer such as Laura Mercier’s SPF 20 oil-free Tinted Moisturizer in Bisque, and then a swipe of powder bronzer for cheekbone contouring. 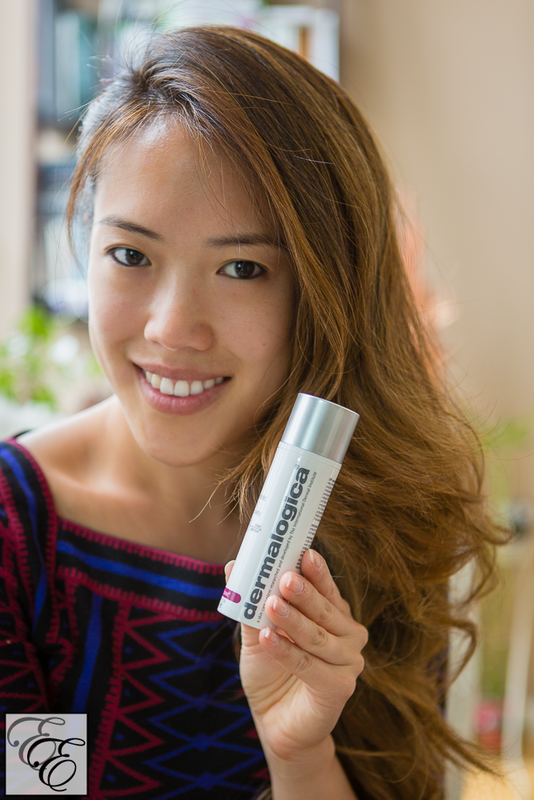 I love my other Dermalogica products (such as the Skin Hydrating Booster and Intensive Moisture Balance that I reviewed here previously), and this is one that I am equally enthused about. I feel reassured that it provides the protection that I need throughout the day, and I’m confident about its value now, and for the years ahead. 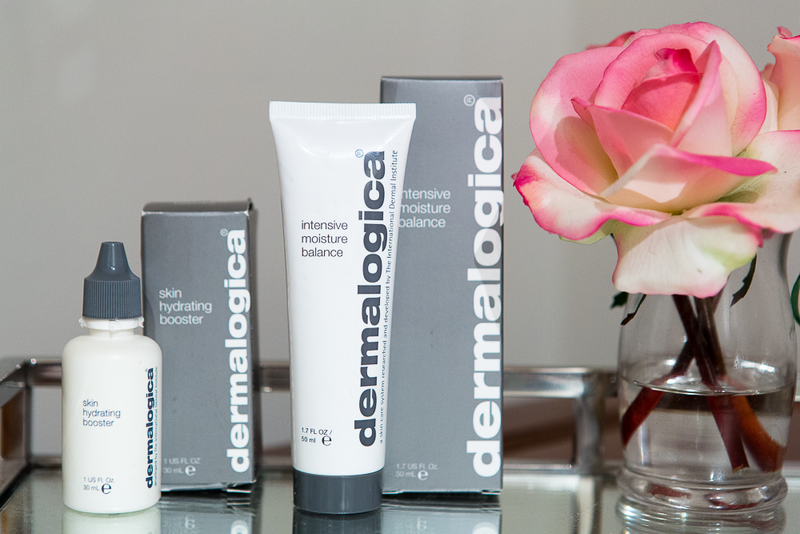 Have you tried this, or any of the other Dermalogica products? Any favorites?